DAVID LE/Staff photo. 2/19/15. 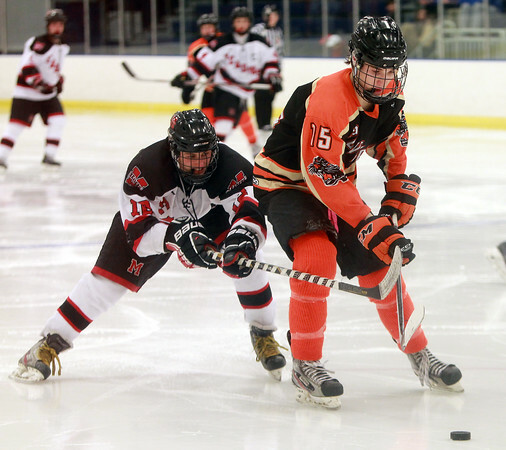 Beverly senior captain Jesse MacLaughlin (15) keeps his eyes on the puck while being hassled by Marblehead junior alternate captain Tim Kalinowski (12).